The core committee of all political parties in Manipur has demanded the Centre to withdraw the Naga Framework Agreement and urged the State Government to hold a special Assembly session to resolve the ‘inconclusive’ issues of Manipur University, border pillar dispute and Citizenship (Amendment) Bill, 2016 besides the Naga political issue. The committee has demanded the Assembly session to be held by September 15 on all these matters. It also announced that it would convene a state-level convention on September 22 with experts and people from various sections to take decision over the issues in Manipur. The committee which was recently formed, to fight for peoples’ cause on state issues, claimed that the Centre has betrayed the people of Manipur, Assam and Arunachal Pradesh for the sake of appeasing the NSCN-IM. Interacting with media in Imphal on Wednesday, the committee convenor, R K Anand said talks of extending Article 371 (A), sixth schedule or other similar act and giving of special status to Naga community in Naga inhabitant areas has been a cause of apprehension amongst the public regarding the state’s territorial integrity. 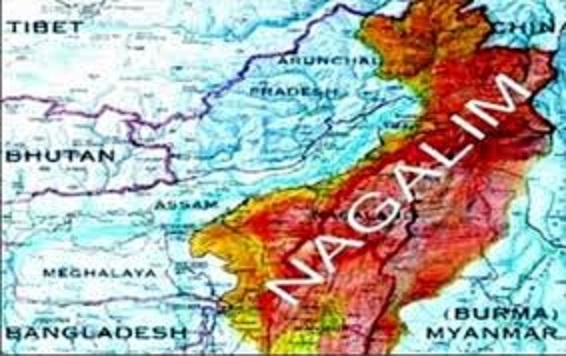 Asserting that the Centre’s statement of giving a special status to Naga community by giving them autonomous status is a serious threat to the integrity of the state, the convenor was of the view that it was a move to make ‘a state within a state’.